Network Ten is one of Australia's three national commercial television broadcasters, with stations in each of the country's five mainland capital cities. With a firm focus on viewers under 40, TEN has won each of the past five ratings years in that demographic. The first station in what became the modern Ten Network began broadcasting in Melbourne in August 1964. Network Ten listed on the Australian Stock Exchange in 1998 and today employs approximately 1,000 people. The Network is the home of Australian shows as diverse as ROVE LIVE, Big Brother, Australian Idol, Neighbours, Thank God You're Here and 9AM with David and Kim. TEN also offers some of the world's most popular overseas programs, including The Simpsons, NCIS, Medium, The OC, Supernatural and the Law & Order franchise. 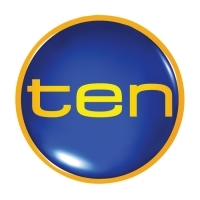 TEN produces high-quality news programs starting with the Early News, TEN Morning News, through to News at 5.00pm, the Late News and Sports Tonight. With a long-standing tradition in presenting world-class Australian and international sporting events, TEN is a leader in sports programming. For seasons 2002 through 2006, TEN is the principal AFL broadcaster, holding the free-to-air rights to Saturday AFL and the exclusive free-to-air rights for the entire finals series, including the Grand Final. The Network has earned a reputation in the market for understanding the objectives of our client advertisers, and for creating effective strategies by which they can reach their goals. We proudly encourage an "ideas culture", where all members of our team know that part of their job is looking for ways to do things better and smarter. It's why all areas of our business - from programming, through to sales, administration, broadcast operations and technical services - consistently deliver above expectations.